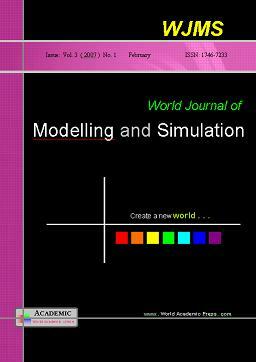 World Journal of Modelling and Simulation (WJMS, 1746-7233) is published quarterly. £ 272 per year for 4 issues. free or £ 40 per year for 4 issues. For free e-journal, please contact info@wjms.org.uk or link to Online Journal.